Disdained by many Yankee residents as Catholic lowlifes, the growing Irish population of the Lowell, Massachusetts, "paddy camps" in the nineteenth century proved a tempting source of cheap labor for local mill owners, who took advantage of the immigrants' proximity to exploit them to the fullest. Displaced by their cheaper labor, other workers blamed the Irish for job losses and added to their plight through repression and segregation. 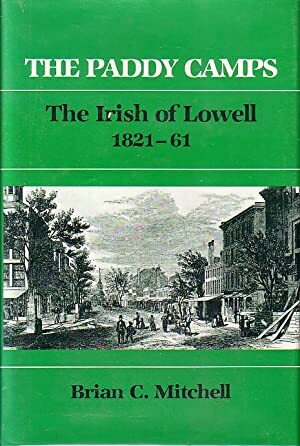 Now in paperback and featuring a new preface, Brian C. Mitchell's "The Paddy Camps" demonstrates how the Irish community in Lowell overcame adversity to develop strong religious institutions, an increased political presence, and a sense of common traditions.